I had the pleasure of speaking at Internet World in London last week and my final point to audience was the headline from a recent blogpost of mine – social is something you are not something you do. It was thrilling to then be mentioned on Twitter as having delivered the quote of the day! It’s something I picked up in the US last year and I now use it as something of a mantra in client meetings, in proposals and interviews. And then I read this week that the UK Government are to appoint Mary ‘Queen of Shops’ Portas to save Britain’s High Streets, through a series of ‘engagement’ events with customers. In hard times, those offering huge discounts are clearly satisfying one need – that of saving money. But this isn’t a sustainable model. 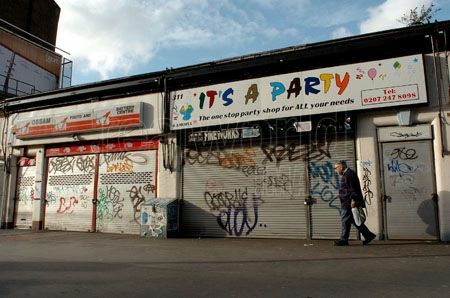 The prospect of deserted, once thriving commercial centres is very real. But I’m optimistic about the future. I don’t agree with Ed Miliband’s view that legislation should be introduced to prevent large retailers moving in to homogenise the high street. That’s crazy! What’s not crazy is to look at what it is that has always been valued by people – an exciting, engaging, friendly but overall human experience. At Internet World I spoke of the retailers of our grandparents generation who knew their customers so well. That the butcher would save a prime cut for Mrs Miggins because he knew she had family staying – because he’d actually spoken to her about things other than meat! These are things people have always valued and I would argue value more and more now in these harder times. Add social media to the natural conversations that shopkeepers should be having with their customers and this approach becomes scalable. Learn about your customers lives beyond their relationship to you. They can be quite interesting people you know! What is it that gets you onto the high street and off the laptop?